Known for saying “Shia LeBeouf” in that internet video and for making her viola sound like it “had laryngitis” (LA Observed), violist Diana Wade thrives on the richly varied musical life she maintains in Los Angeles. In addition to recording for film and television, Diana will be performing this season with Jacaranda, Wild Up, Los Angeles Chamber Orchestra, and the Los Angeles Master Chorale. 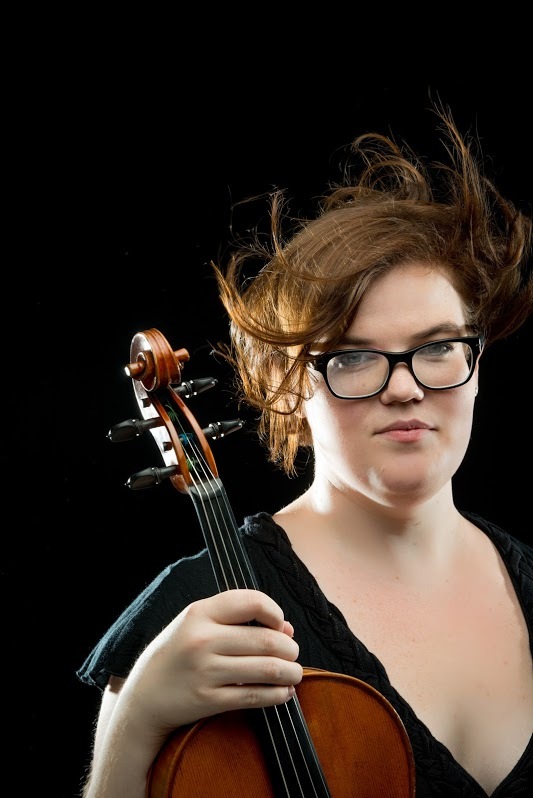 As a former founding member of the Argus Quartet, Dianacollaborated with Anthony Dean Griffey, David Shifrin, and the Brentano Quartet and worked with composers such as Christopher Theofanidis, Jay Eckardt, and Martin Bresnick. Diana holds degrees and certificates from Temple University, Cleveland Institute of Music, and University of Southern California and she studied with CJ Chang, Jeffrey Irvine, and Donald McInnes. In the rare moment that she’s not playing viola, Diana enjoys writing lists, dabbling in composition, running, and wishing she were an opera singer.